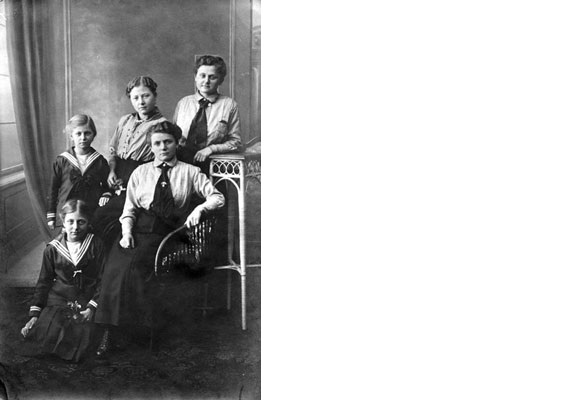 Who are these five women from Siegburg, Germany, in 1919? We don’t know for certain, but on Jan. 13, soldier Gordon Eby wrote that he and an army buddy “called at the home of the Krohn family—Hubertina, Maria, Lena, Katie and Bettie.” Eby was a long way from his home and Mennonite roots in Kitchener, Ont., when his battalion was quartered in Germany after the Armistice. Speaking German helped open doors for him to the warmth of German hospitality towards former “enemies.” This is the kind of war story that seldom gets told. Why is that?